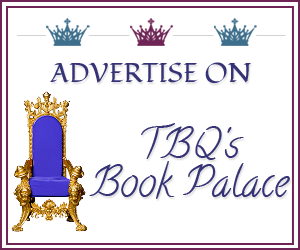 TBQ'S Book Palace: [Kame's Review]: "Billion Dollar Cowboy"
[Kame's Review]: "Billion Dollar Cowboy"
Colton Nelson was twenty-eight years old when he won the Texas Lottery and went from ranch hand to ranch owner overnight. Now he's desperate to keep the gold diggers away. It shouldn't be too hard to find a pretty girl and hire her to pretend to be his one-and-only. Laura Baker's got mixed feelings about this--she's on the ranch to work, not to be arm candy. On the other hand, being stuck for a while in the boondocks with a gorgeous cowboy isn't half-bad. Colton is a cowboy. A few years ago he won the lottery and bought his own ranch, soon his financial advisor turned that million into a billion; now Colton is the most eligible bachelor for miles around. Laura has arrived at the ranch to pay off a debt to her cousin Andy. Andy is Colton’s best friend and financial advisor, Laura will work for him helping him in the office. But it seems after another woman’s attempt to force Colton into a marriage Andy has another job for Laura besides working on the computer. He has the family’s backing he just needs to convince Colton and Laura that the easiest way to have all the women for miles around to back off is to have them pretend to be dating. This is another twist on the fake girlfriend/boyfriend tale we see often in romance books. When I read a theme I have read before I appreciate strong characters and a fresh take on the theme. Laura has many layers to her character. She is a woman with a challenging childhood, raised on a ranch by her aunt, and out on her own two weeks after high school at eighteen. I felt the bond she and her sister shared and I could understand her desire to help protect her sister from harm. Colton is a cowboy who has civic responsibility and has only allowed himself one extravagance – a gym and pool hidden in a barn on the property. His favorite treat is a snowcone; his flavor choice seemed odd and didn’t tempt me. However his favorite rainbow flavors happen to be the same as Laura’s. That comfortable ease between Colton and Laura kept up to the last page. No huge conflict or suspense in this book which makes it great if you want a feel good book, low on the steam scale that you can read during your summer vacation week. 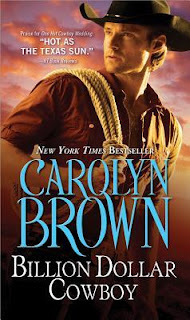 This is the first of a new series for Carolyn Brown and I enjoyed every page. The heroes of the remaining books were introduced towards the end of the plot. Each has a connection with Colton; so I would expect to see a peak at Colton and Laura’s HEA in future books. This book is full of interesting secondary characters, great events and locations. I hope to see them all again when the next installment is published. 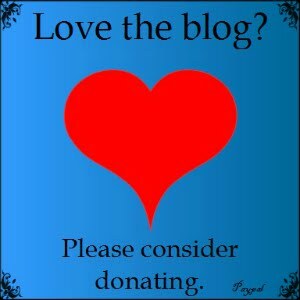 I've not read any of Carolyn Brown's books yet--have you? Do you have a favorite?